I've been trying to feature covers more on the blog, but have been having a bit of trouble (mostly cause I have a seriously irrational fear that I'm going to do some sort of copyright infringement or something and be sued. My anxiety of random things often gets the better of me). I adore covers. I think they can really add to the atmosphere of a book and can add so much more appeal. So to balance my cover love and odd fears, I've decided to post about both new covers and ones that I really enjoy! Recently the cover was revealed for Miranda Kenneally's third novel, Things I Can't Forget. And I absolutely adore it. Here it is with the very short description courtesy of Goodreads. Companion to Catching Jordan and Stealing Parker. 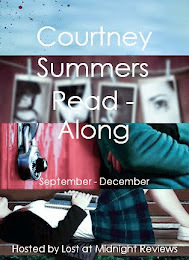 Set at summer camp, this book is about a girl named Kate falling in love for the first time. I'm such a fan of this cover. It's pretty clean and simple, but has a sweet and light edge to it. Oddly enough, the story seems to have a much heavier subject, dealing with issues like religion and abortion (this according to Kenneally's website). I love the old school bikes, and the couple holding hands, and I really want that girl's dress! I also like that a sports field is incorporated, as most of Kenneally's novels seem to deal with female athletes. It's a great cover for what is sure to be a great novel. Her debut, Catching Jordan was awesome, so I'm really looking forward to this novel, as well as her fall release, Stealing Parker. 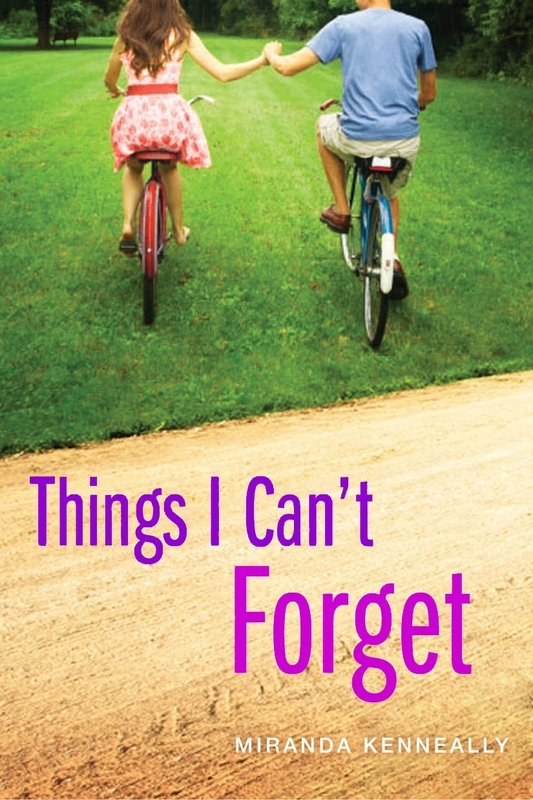 Things I Can't Forget is out April 1st, 2013 from Sourcebooks Fire! And if that's too long of a wait, Stealing Parker is out in October! This is a very nostalgic-looking cover, I agree! Sort of 60s/70s-ish. Oh it reminds me of that movie, old now, called My Girl. I hadn't heard of this author before. Don't worry about copyright issues with showing book covers - publishers love it when we include cover images, it sells books better! No seriously, it's true. You'd only run into problems if you stole a cover image for your own self-published book or promotion or something. That'd be using their work for your own gain. 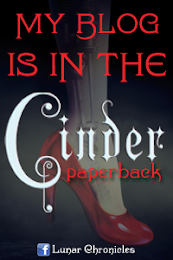 I love looking at covers too - now and then I find the time to put together a "cover spam!" post showing three different covers of the same book, to compare and contrast. It's fun and fascinating!